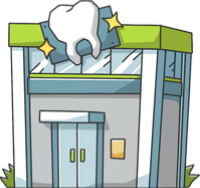 These are the most common insurances accepted by Dentists in Worcester, MA. Dr. Levenson is the Best of the Best!He certainly holds up to his nickname the HOLLYWOOD DENTIST!Dr.Levenson will give you something to smile about, go and see him.. The most pleasant dental office... They make you you feel like family. In addition, Dr Levenson is an amazing dentist.. I started coming to Dr. levenson because my fear of the dentist has kept me away for many many years . This year I decided was going to be the year of change and I researched sedation clinics and called this place first the secretary was the most pleasant and understanding woman I had ever talk too. She got me make an appointment and take the first step. My first consultation I met the kindest woman named Beth who became my go to girl at the clinic she helped me understand that whole process and how it was all going to go . I met with Dr Levenson and he assured me that it would all in due time work out and I would see results . Knowing I would not have to have all of my teeth pulled was very comforting . My anxiety for the dentist has gotten better each time I have go and have work done and I can't thank the whole team enough from the secretary's to the hygienist to the Dr himself for being so kind to me and understanding my needs..
Been seeing Dr. Savas and his staff for over 5 years. Caring, nonjudgmental environment, willing to work with each patient as an individual to develop treatment plans to maintain good oral health. Highly recommended.. I love my new crown! It fits perfectly and the shade is exactly mine and to get it in one day instead of waiting weeks is amazing!! Thank you for taking care of my teeth!. Dr Savas and his entire staff are a very professional group. They treat each person with respect and give you the best results. Dr Savas has been my Dentist for over 22 years now. I fly north for all my dental needs. I highly recommend Dr Savas and his staff..